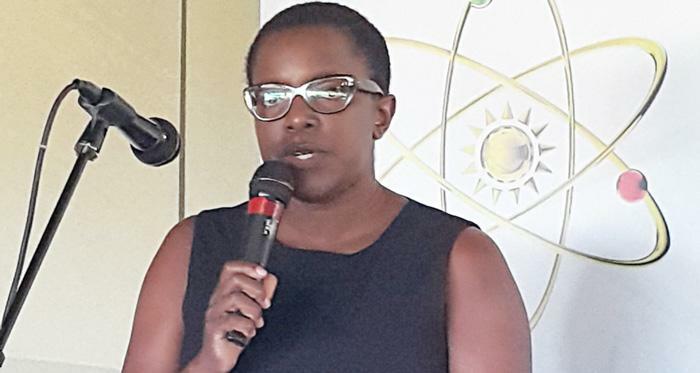 PolyCare Research Technology Namibia this week launched their new product, a building system that can be used to rapidly construct affordable, durable homes. 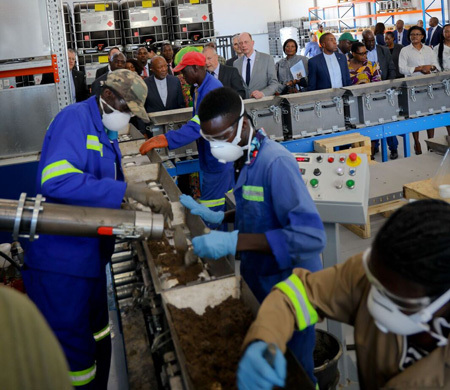 The launch which took place at the company factory in Brakwater was witnessed by Hon. Wolfgang Tiefensee, Minister of Economic Affairs, Science and Digital Society of the Free State Thuringia together with the country’s Vice President, Nangolo Mbumba. Mbumba said the technology offered by PolyCare is a welcome addition to the existing traditional building system as it has many advantages, because the blocks used for building the houses can be easily made from locally available desert and river sand. The building system does not use water in its production methods, which is a big positive benefit four the semi desert climate of Namibia. “It is also efficient from a carbon footprint perspective which will be helpful for Namibia to attain and maintain its green energy user credential, and it takes about two weeks to build a two bedroom house at a starting price of N$29500, which excludes the land, servicing, transport and professional fess and taxes,” he explained. He added that investors put in about N$38 million to set up the factory, which PolyCare plans to provide training and skills transfer for SMEs builders. “The factory is currently employing 30 locals comprising of 15 females and 15 males,” he added. Mbumba hopes that the success of this partnership between local and foreign direct investment companies to invest in many other economic sectors of the countries. Meanwhile, PolyCare has had a life cycle analysis undertaken of its building system by an organisation called EurA and they concluded that the global warming potential of polymer concrete is reduced by approximately 60% compared to conventional concrete.